The concept of closure means different things to people. We can’t see it, touch it or even agree on exactly what it is but so many survivors of narcissistic abuse hang their whole relationship recovery on getting it. Unfortunately, you never get anything that resembles real closure with a narcissist. And even those folks who don’t want their ex back still believe it will help them to feel better and make it easier for them to move forward if they could get closure in the form of knowing that their ex-narcissist misses them, wants them back or is at least sorry. But the sincere apology you’re waiting for isn’t going to happen because narcissists just aren’t sorry. They lack the ability to feel real remorse for their actions. If they had that ability, you wouldn’t be left feeling the need for closure or validation. They don’t take any responsibility for their actions, which is why on their way out the door, they will lay all the blame on you for the problems in the relationship along with every crappy quality they own. When they leave relationships or end them abruptly, there are often more questions than answers adding to the need to find closure. Mixed messages are their specialty. Creating confusion and doubt is what sends their former partners into a closure seeking mission. With icy cold detachment and completely void of any emotion they will deliver condescending but seemingly caring parting words. They may say things like, I wish the best for you, or I never meant to hurt you, or I hope you find someone who makes you happy and they may even add, the break-up is as hard on me as it is for you. However, their actions will tell an entirely different story and reveal the truth. Within days or weeks, they most likely will appear on social media with a new target, publicly flaunting how happy and in love they are with their new soul mate. This is only meant to drive the knife into your heart further and reinforce the belief that the problems and the failure of the relationship were all your fault. See how happy I am? See how wonderful my new soul mate is? The messages they’re sending you, and everyone else for that matter are since they found a fantastic person who is capable of filling them with such joy, then clearly you’re the one to blame for the relationship’s problems and ultimate demise. You ‘re left believing that if only you had tried harder, or were more generous, nurturing, understanding, more in tune with their needs or whatever inadequacies they were trying to convince you of, things would have been different. Don’t fall into that rabbit hole. That’s exactly what they were hoping would happen. In healthy relationships, both partners share the responsibility for the failure of the relationship. The break up is never sudden or out of left field. Both partners usually have tried and tried, often spending months if not longer, discussing their problems and trying to repair the issues in the relationship. In reality, narcissists don’t have any interests in finding solutions to fix the problems in their relationships. Frankly, the relationship works just fine for them the way it is. It’s just how they intended it. Fixing it would only cause them to have to start reciprocating, compromising, giving and renouncing their control. Healthy people don’t publicly flaunt their new relationships on social media within days or weeks after a break up because they know that not only is it hurtful to their ex that they once loved, but it is immature and doesn’t reflect positively on them at all. There is no closure to be found with toxic people. Closure requires honesty, compassion, and accountability. And a person who could ghost you, blind-side you with a break-up, dump all the fault on you and replace you before the body has even had time to get cold doesn’t possess the mandatory qualities necessary for proper closure. Wanting your ex to miss you, want you back or apologize to you is prolonging your suffering and impedes any hope of recovery. It’s hinging your future happiness upon external validation. The more you develop a rock-solid sense of self, the less moved you’ll be by the opinions and affirmations of others. This is your starting point. This is where you need to focus on finding your closure. This is where you’ll find the only validation that matters. Yours! For more on finding closure with a narcissist, click here. 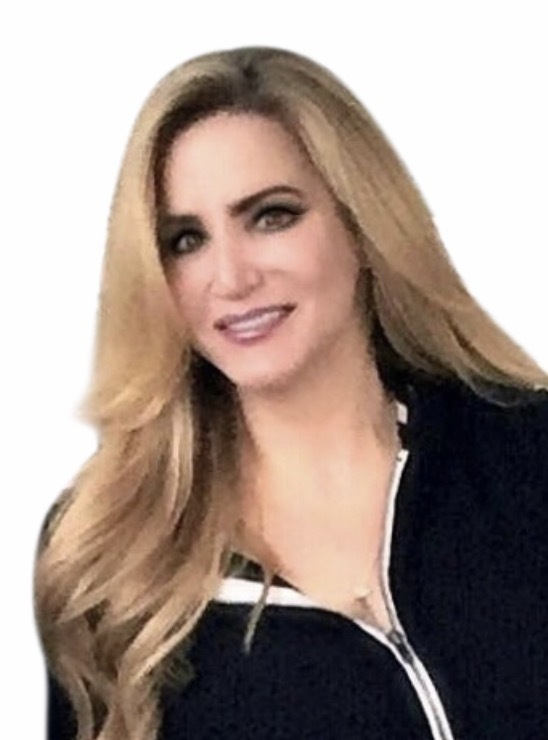 Bree Bonchay is a Los Angeles based licensed psychotherapist who specializes in helping people heal from break-ups, recover from toxic relationships with narcissists and sociopaths and to never settle for a life less than the one they dreamed of. She is a Blogger, Advocate, Facebook Toxic Relationship Recovery Forum Administrator, Radio Guest Expert, and is the Author of the book, I Am Free. Suffering from narcissistic abuse? Join Narcissistic Abuse & Toxic Relationship Forum on Facebook. Copyright © 2016 Bree Bonchay. All Rights Reserved. This couldn’t be closer to the truth if it landed right on it. Laughton changes his “feelings” about me dependent upon my responses – they have nothing to do with his feelings at all. The other day I said that I was struggling with Jess, he said told you so didn’t I? She’s spoilt. Then he further commented on me as a mother and said a couple of years back he worried about leaving me with the kids! I had never heard that before ever from him. Ever. The simple truth of this is that he saw and opening, he saw a wound open and got a whole kilo of salt and poured it in. Not seeing a satisfactory result, he rubbed it in. Then, just for good measure, he brought up how the house renovations broke us up. It was my fault, he always says that. He takes no responsibility at all in our relationship now or then. I couldn’t tell you at the time, but that is why he sent that “nice” email. He was thinking that he didn’t want me to cut him off from my life (as that is his fear and again has nothing to do with me), so he tries to send things that he thinks will “affect” me. Bringing up the moon bear charity in China and my work with them. He probably did an internet search based upon things that mean a lot to me. EVERYTHING he does is completely calculated – nothing is “oh isn’t that nice” or “whoops”. It is all planned and manipulated for maximum effect. This is very true, you will never find any closure with an N. Mine actually told me that I am going to be a very strong woman as a result of his abuse – very sick indeed! Mine said that he thanked me for everything and then rubbed the picture with his new suppy into my face. Personally I gave up on having closure with him- I’ve tried for over a year for him to be a responsible grown-up man and tried to get some sincere apology out of him. Now I am the one who made him do all those horrid things. I loved mine; I loved my life with him. 70% of the time it was wonderful, 20% of the time it was manageable, and 10% of the time it was so painful that it changed the very essence of who I was, and I felt he left me no choice but to walk away from a life most women would envy. The prenup protected him, so he wasn’t even dinged there. The bad times were usually alcohol induced, and he wouldn’t acknowledge he needed help. Wouldn’t go back to the therapist who said he was a narcissist and a bully, all provoked by me, of course. Had a new woman in my bed six days after our divorce, and had a veritable buffet of women since, yet continued to beg me back for well over a year when I finally had to get a lawyer to send a letter to no longer contact me. It’s been 19 months and I am still paralyzed. Here’s my question-since I left him, he claims that I was the one who discarded. Since I want no contact, I’m the one who is ghosting. Am I? I’m just trying to stop loving him and reinvent my life…which at 60 isn’t easy to do, especially since I had completely melded into his-moved, gave up friendships, church, volunteer work, interests, etc. I date, and my radar is seeing red flags everywhere. Makes me think that the devil you know is better than the devil you don’t. Here’s hoping 2017 brings each of us closure! Bree Bonchay, MSW, LCSW, is psychotherapist with over 18 years of experience working in the field of mental health and trauma recovery. She specializes in helping people recover from toxic relationships and shares her insights about Narcissistic Personality Disorder and psychopathy in her blog FreeFromToxic. Her articles have been featured on major online magazines and she has appeared on radio as a guest expert. In addition, she is a dedicated advocate, educator, and facilitates survivor supports groups and workshops. 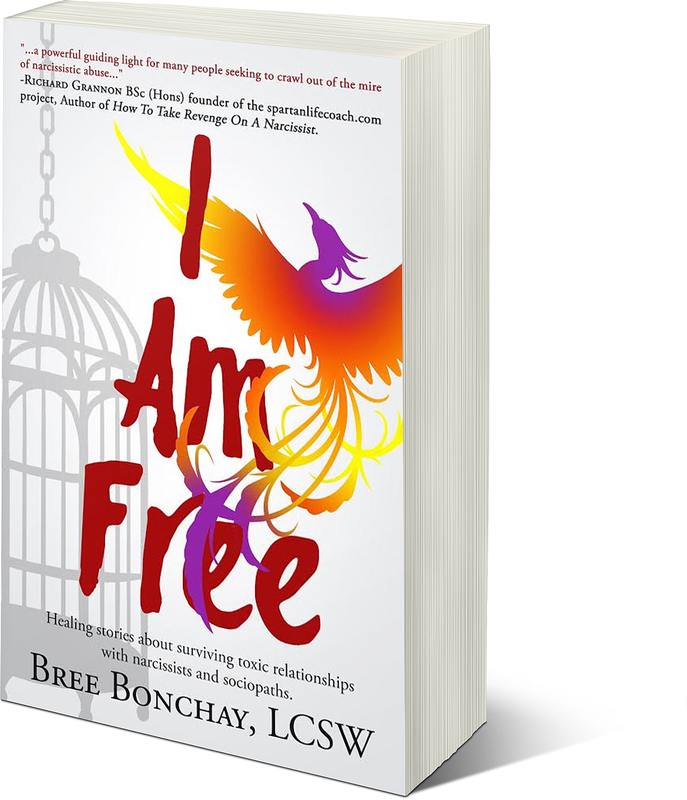 Her book, "I Am Free," is the first non-fiction anthology raising awareness about the damaging effects of pathological relationships.